Rain the last two days reminded me of deluges in Louisiana that we call “frog stranglers and root soakers”–devastating floods that I recall inundated Louisiana as far back as the 40’s when my mother rescued a dog paddling in high waters near Lake Arthur, Louisiana. The latest from the “Sewanee Classified,” which reports all the happenings in this small community on The Mountain of Sewanee, Tennessee, is that the road to Cowan and Winchester has washed out, and crews are presently at work clearing a path into the valley. However, deluges here on The Mountain seldom cause the kind of damage experienced by citizens in my second home in Louisiana at lower elevations. As sea levels rise in coastal Louisiana, places like Isle de Jean Charles, a ridge of land between Bayou Pointe-au-Chien and Bayou Terrebonne, experience destructive flooding, and this island is gradually disappearing into Terrebonne Bay. The population of the Biloxi-Chitimacha tribe and other community members has dwindled to 25 families because water is swallowing up the land, and the places where community members used to hunt, trap, and plant gardens are vanishing. The island is often battered by floods and sinking of land, along with rising ocean levels, which make future habitation almost impossible. The small band of people descending from Choctaw, Houma, Biloxi, and Chitimacha Indian tribes who grew up on Isle de Jean Charles cling to their home and traditions, but their future is uncertain because it lies past the levee alignment which is currently under construction for the Morganza to the Gulf of Mexico Hurricane Protection Project. 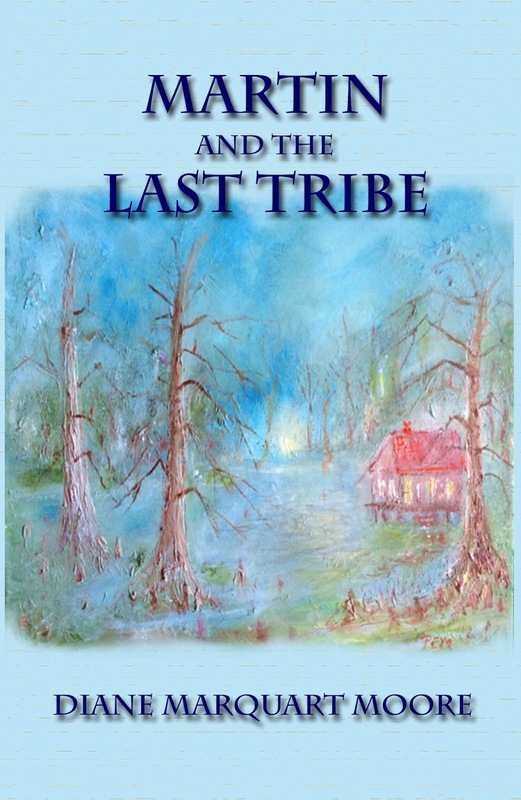 Readers may have seen several documentaries about this small population on the Louisiana coast–Can’t Stop the Water, Last Stand on the Island, and a fictional treatment in a movie entitled Beasts of the Southern Wild. 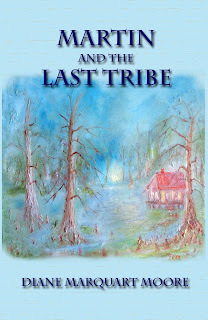 I've been fascinated with the story of this island for over a year and spent the last year researching and writing a middle-grade novel, the third in a series about a young boy traiteur who goes down to Isle de Jean Charles to talk to his Great Uncle Joe who has barricaded himself in his cabin rather than move to higher ground. Martin attempts to treat his unhinged uncle and meets a lovely Island girl who is ill, but he runs into trouble when he tries to use his healing powers on an injured person who doesn't want his folk medicine. While he’s on the Island, he’s caught in a battering storm, experiences the aftermath of an oil rig exploding in the Gulf, and witnesses threats to the Island and surrounding marshes. Environmental issues, tribal conflicts and Indian lore, romance, and the introduction to various herbs used in healing by the 11th century nun, Hildegard of Bingen, are woven into the story. Followers of Martin Romero, the protagonist, will enjoy the young traiteur’s latest explorations as “Master of Adventure” in Martin And the Last Tribe. The cover painting of this book for young readers was rendered by my brother Paul Marquart, and book design by my grandson, Martin Romero (for whom the protagonist is named). Copies of this middle grade and young adult novel can be ordered online from amazon.com, or from: Border Press, PO Box 3124, Sewanee TN 37375.